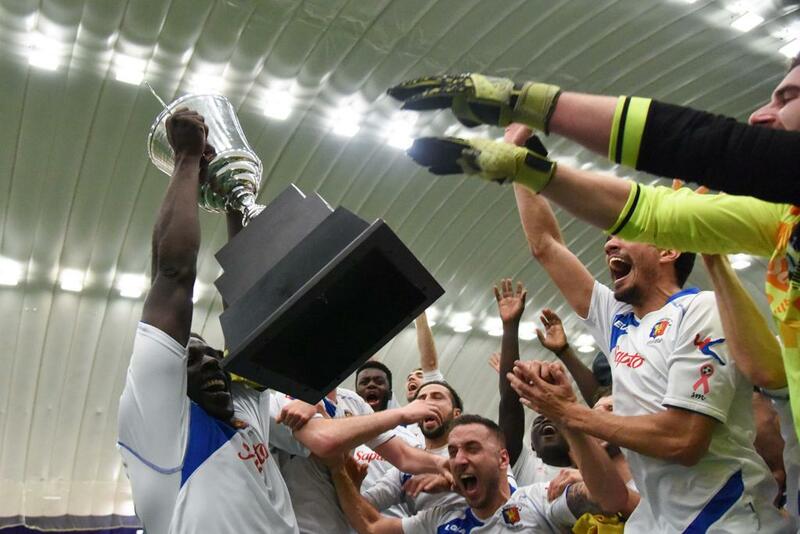 Champions of the Quebec PLSQ semi-professional league, CS Mont-Royal Outremont Griffons, beat the champions of Ontario's League1 Ontario, Vaughan Azzurri, 2-1 in the second leg of the 2016 Inter-Provincial Cup - winning the two-legged competition 3-2 on aggregate. 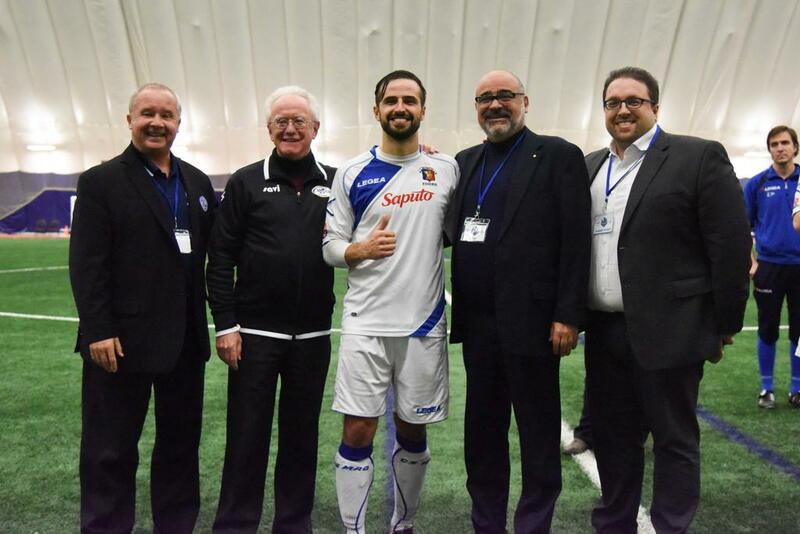 After a high-paced and testy start to the match, during which four players were cautioned within the first 30 minutes, Vaughan Azzurri were the first on the scoreboard. 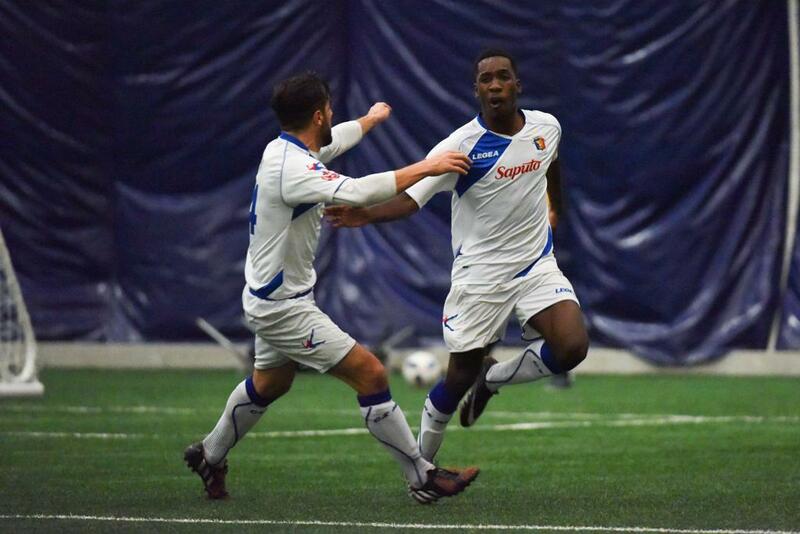 Central defender Shiquan Lowe (14'), fresh from a season in NCAA DI for Niagara University's Purple Eagles, neatly finished off a beautiful Azzurri short corner routine that also featured a deft Mario Kovacevic no-look flick for the assist. 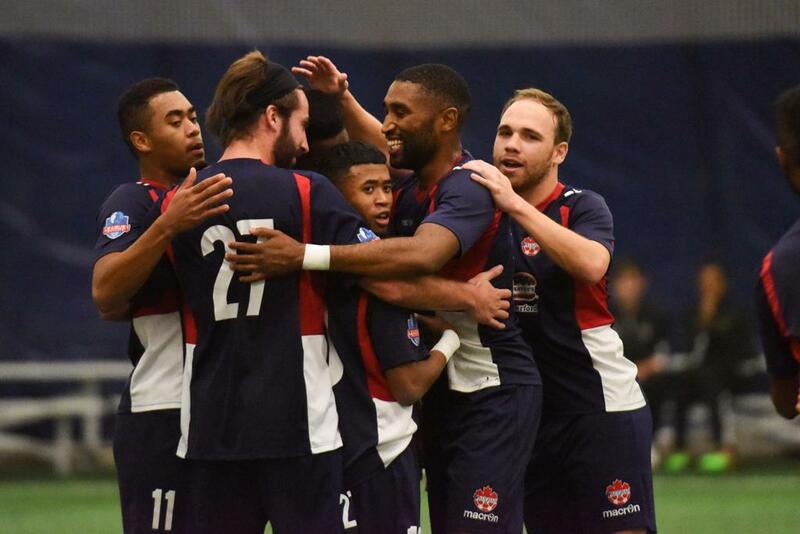 The goal put Vaughan one up in the match, and 2-1 ahead on the aggregate scoreline. 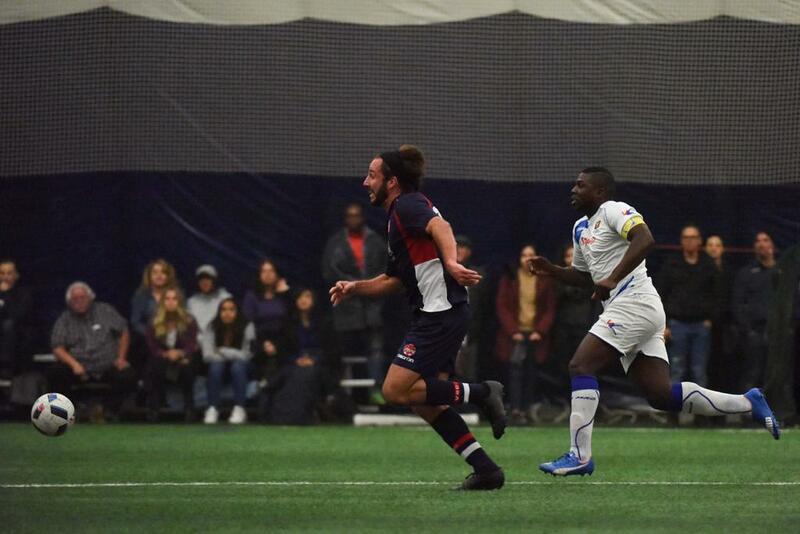 But the Griffons would not be kept out for long, as midfielders Sean Rosa and Maxime Olivieri were regularly setting up attacking moves that threatened the Vaughan net. Striker Jeanne-Pierre Ritchy-Andy (41') finally opened the scoring for the Quebec side - playing away to Vaughan Azzurri in front of several hundred screaming Ontario supporters at the Pickering Soccer Complex) - after a fine through ball by Francois was knocked down by Nboucha and put the speedy forward in alone. Ritchy-Andy kept his cool and slotted under the onrushing Vaughan keeper, Colm Vance. The second half started with two unchanged teams and a tense atmosphere as neither side wanted to concede a potentially game-winning second goal. Vaughan's Brandon Mills nearly provided it just before hour mark with a deflected effort that threatened to dip into the far corner, but the Griffons' keeper Jason Stock was equal to the task and managed to palm it over the bar. However, it wasn't long before the Quebec midfield again made its presence felt, this time with Rosa turning quickly on the ball in the Azzurri box, drawing a foul from Jason Mills and claiming a penalty for the visitors. Olivieri (67') stepped up to take the kick and made no mistake, hammering the ball low and inside the keeper's right hand post. The Griffons now had an away goal of their own, and led the series 3-2 on aggregate. The Azzurri kept their foot on the gas and again it was Brandon Mills to provide the spark, hitting a bending free kick that beat Stock but not the post. The rebound fell nicely for teammate Jarred Phillips, but the fullback couldn't get much purchase on the finish and Stock gathered easily. A flurry of subs ensued as the Griffons sought to manage the late stages of the match and the Azzurri hunted for half-chances and any signs of weakness in the Quebec defence. 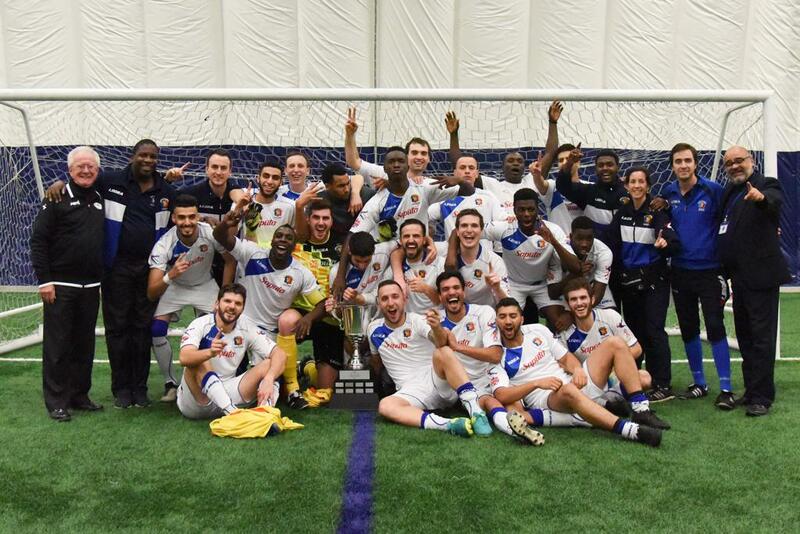 But it was all for nought at the final whistle, as the Quebec side remained resolute and deservedly took home the province's first Inter-Provincial Cup in the competition's three year existence.